Fitting a new patio door isn't always high on the list of home improvement ideas, but it's one that has many advantages over larger projects. A new kitchen or home extension can add value to a house, but projects of this scale are expensive and time consuming. 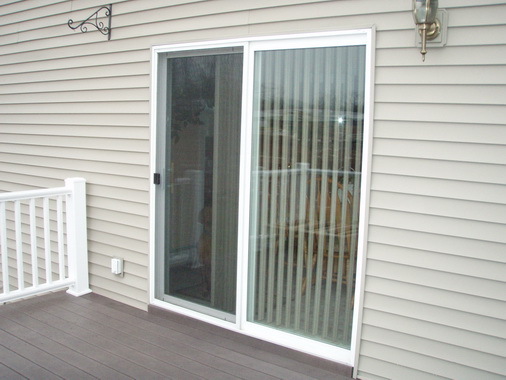 Patio door replacement can usually be completed in a day, and it can save money as well making a home easier to sell. Unless you're very experienced in DIY, installing a patio door is best left to an experienced tradesman. As well as requiring a wide range of tools, fitting a heavy door is likely to need a second pair of hands to help. You'll need to remove and dispose of the old door before starting the process of installing the replacement. Exact measurement is critical to ensure that there are no gaps around the frame. A poor installation can lead to draughts and leaks, and you may regret taking the job on and end up having to call a professional to complete the job. Any steps you can take to improve your home's energy efficiency are worth considering, and fitting new patio doors can help in several ways. Reduced energy bills in colder months can add up to significant savings on your annual bills. Correctly installed patio doors will retain heat inside your home meaning you can turn down the thermostat on the heating. The glass in modern patio doors can also help to keep homes cooler in summer months and allows more natural light to enter. If you have an interest in environmental issues, replacing your windows and patio doors is a great green living project. Quality patio doors can add significant curb appeal to a property. Homeowners keen to get the maximum price when they're ready move often overlook this. Making improvements to a garden or painting exterior walls can also make a home more attractive to potential buyers, but they are generally more expensive than the cost of replacement patio doors. Reduced maintenance costs are another reason to consider installing new patio doors. Older style wooden doors and frames need constant maintenance, and it can be expensive and time consuming to do this. Installing new doors means an up-front cost, but you'll save on paint, varnish and other materials over the longer term. Installing new patio doors is an investment in the future of your home.